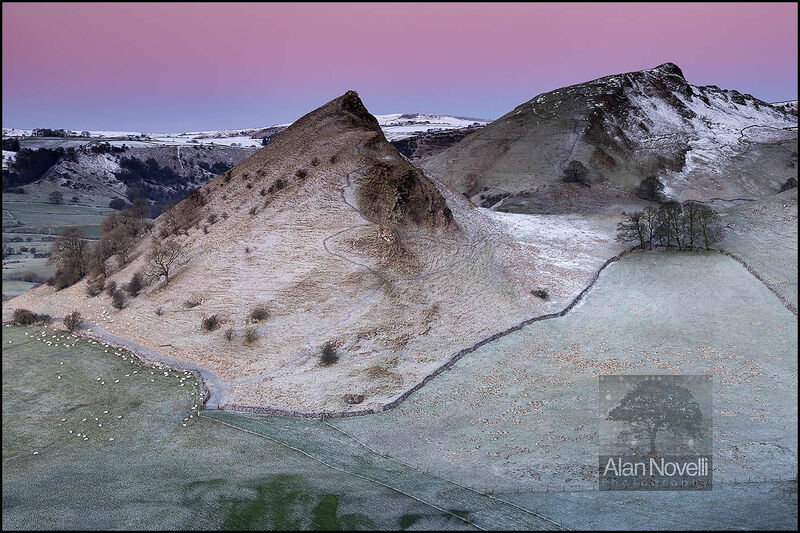 A winter's dawn overlooking the twin Parkhouse and Chrome Hills south of Buxton in the Peak District. As the transition from night into day takes place, a mysterious phenomenon takes place as the earth casts its own shadow upon the atmosphere which is shown as a dark band across the horizon. A little bit of pure Magic!